Links to wildlife organisations we support or endorse. The Bat Conservation Trust (BCT) is working towards a world where bats and people live in harmony, for future generations to enjoy. The BSA is a non-profit making association of the UK's leading suppliers of wild bird care products. Support BAWC. One poisoning, one illegal killing, one hare coursed or badger baited is one too many. All of us want change. We need to be that change. The Birding UK and Ireland Community is here to help people who are interested in birds whether they are experienced birders or absolute beginners. Here you can find information on those fascinating animals, arachnids. Not just spiders but harvestmen and scorpions too. The British Dragonfly Society aims to promote and encourage the study and conservation of dragonflies and their natural habitats, especially in the UK. The British Trust for Ornithology is an independent trust, investigating the populations, movements and ecology of wild birds in the British Isles. Buglifes aim is to halt the extinction of invertebrate species and to achieve sustainable populations of invertebrates. The BBCT aims to prevent further declines and to raise awareness of the problems bumblebees face. BC are committed to the conservation of butterflies and moths, which are in rapid decline. Froglife is a charity committed to the conservation of amphibians & reptiles and saving the habitats they depend on. The trust aims to raise awareness and to help protect the beautiful and endangered brown hare. The worlds longest established apiculural research publishers. A host of information about bees. To the fox they are the first emergency service! The NWC is a seasonal visitor attraction that showcases wildflowers in a natural environment with ideas that you can replicate at home. Red squirrels of the Highlands, is a 3 year project to June 2012 to encourage the conservation of red squirrels within the Highlands of Scotland. The RSPB speak out for birds and wildlife, tackling the problems that threaten our environment. Nature is amazing, lets keep it that way! The SOC brings together birdwatchersand research ornithologists to study, document and enjoy Scotland\'s varied birdlife. is dedicated to squirrels in the United Kingdom, and offers general information and advice on how to care for sick or injured animals. SWSEIC is the local records centre for the region a focal point for environmental information in SW Scotland and provides access to wildlife and habitat information. 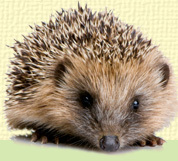 The BHPS is a registered UK Charity dedicated to helping & protecting hedgehogs native to the UK . Works to bring an end to the cruelty inflicted on animals in the name of sport. The Mammal Society aims to inform, educate and involve people of all ages in mammal conservation across the British Isles, to protect them for the future. The Natural History Museum is an international leader in the scientific study of the natural world. The WT are working for an environment rich in wildlife for everyone. The Wodland Trusts vision is to see a country rich in native woods and trees enjoyed and valued by everyone. News, forum, photographic library and just about everything you wanted to know about British Butterflies! Online guide to the moths of Great Britain and Ireland.